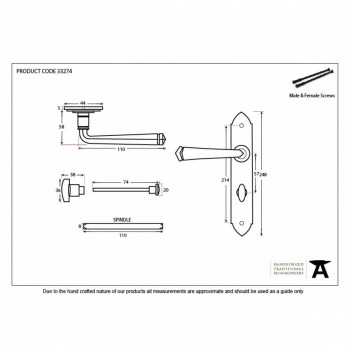 The Bathroom version of the Gothic handle is designed to be used in conjunction with a Bathroom Mortice Lock which also operates the thumbturn supplied with the lever handle. 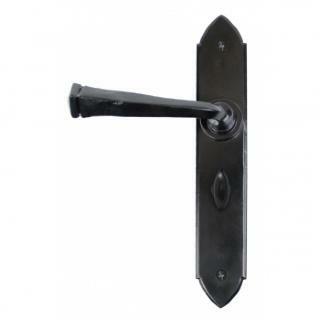 The handle incorporates a strong spring mechanism and will only work with a Bathroom Mortice Lock (see above link). 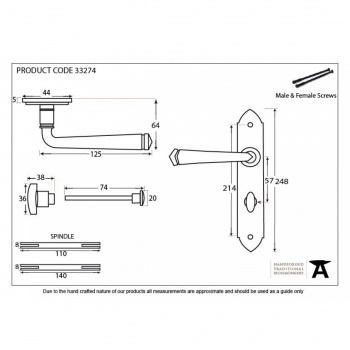 Suitable for use in a bathroom but maintenance instructions must be followed to preserve the finish of your product.